It was a game of matchups on Sunday as the New England Patriots beat the Green Bay Packers at Gillette Stadium. 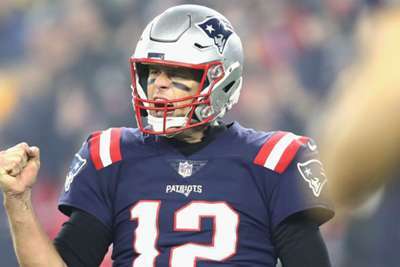 Matchups included the two best quarterbacks in the NFL, the receiver-cornerback pairing of the Packers' Davante Adams and the Patriots' Stephon Gilmore and an offense missing some of its most important players versus a defense that dealt with injuries itself. There was certainly a lot going on at Gillette Stadium, but the Patriots stayed focused as they held on for a 31-17 win over the Packers. Tom Brady and Aaron Rodgers are some of the best to ever lineup under center and their highly publicised matchup did not disappoint. The two went shot-for-shot in a game that was tied heading into the fourth quarter. The win would go to Brady, his first ever against Rodgers. The Patriots started with a quick 10-play, three-minute touchdown drive and Rodgers answered by putting the team in field goal range. They would continue to trade scores with some big stops, turnovers and huge plays mixed in. We run through that and more from New England's win over Green Bay. After both teams' opening scoring drives, it seemed as if the game would come down to who had the ball last. But a costly mistake by the Packers dug the visitors into a hole not even Rodgers could climb out of. Green Bay entered halftime trailing by a touchdown but came out of the break to tie things up as Rodgers found tight end Jimmy Graham for a 15-yard score. It was the only points scored in the third quarter, which meant two of the best fourth-quarter quarterbacks would again go possession-for-possession. But running back Aaron Jones lost the ball as Rodgers tried to move into the red zone. New England entered the contest missing a few of their big names. Tight end Rob Gronkowski and rookie running back Sony Michel were ruled out as they both nurse injuries, which left Brady to look for other targets against the fifth best passing defense in the league. Brady did not just look to the combination of Cordarrelle Patterson - the wide receiver turned running back in this game - and James White for the bulk of the yards in the back field. Josh Gordon and Julian Edelman were some of his favorite targets via the pass and he found Gordon on a sneaky touchdown. The Patriots were without a few players but there is no shortage of talent on this roster. Patterson rushed for 61 yards and one touchdown on 11 carries. White finished with 31 yards and two scores on the ground and another 72 receiving yards. Gordon led all receivers with 130 yards and the lone touchdown and Eldeman had a 71-yard night on six catches. Green Bay's defense struggled to pressure Brady most of the game while the Packers also struggled with a number of injuries. Four players - one on offense - were listed as questionable and two exited the game with injuries. Offensive lineman Bryan Bulaga was the first to leave the matchup with a knee injury. Three other players, all on defense, also suffered injuries: safety Kentrell Brice (knee), cornerback Kevin King (hamstring) and linebacker Blake Martinez (ankle).